NCERT solutions are widely popular among the students and teachers for their conceptual clarity. The simple language used throughout the NCERT solutions makes learning easy, especially when you are studying complex concepts. The collection of NCERT solutions are selected by our finest and experienced teachers. NCERT Solutions for Class 09 Science are very helpful for CBSE exam. 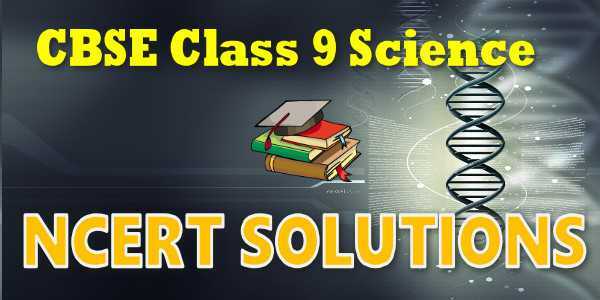 You can download NCERT Solutions for Class 09 Science in PDF format. 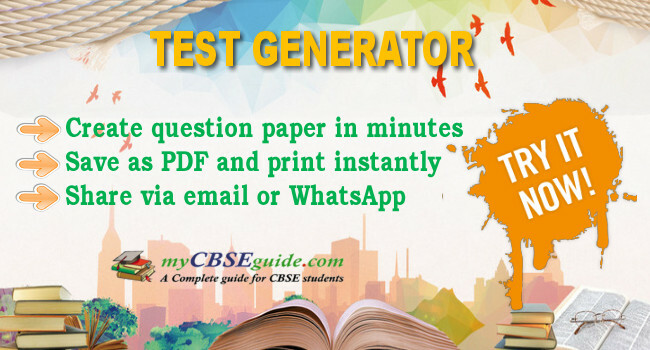 These NCERT Solutions are also available in the myCBSEguide website and mobile app for free. Download NCERT Solutions for CBSE Class 09 Science Matter in Our Surrounding Definition of matter; solid, liquid and gas; characteristics - shape, volume, density; change of state-melting (absorption of heat), freezing, evaporation (cooling by evaporation), condensation, sublimation. Nature of matter : Elements, compounds and mixtures. Heterogenous and homogenous mixtures, colloids and suspensions. Download NCERT Solutions for CBSE Class 09 Science Is Matter around Us Pure Is Matter around Us Pure: Elements, compounds and mixtures. Heterogenous and homogenous mixtures, colloids and suspensions for class 09 Science. It includes all main concepts of the chapter in CBSE class 09 Science. Download NCERT Solutions for CBSE Class 09 Science Atoms and Molecules Atoms and Molecules: Particle nature, basic units : Atoms and molecules. Law of constant proportions. Atomic and molecular masses for class 09 Science. It includes all main concepts of the chapter in CBSE class 09 Science. Download NCERT Solutions for CBSE Class 09 Science Structure of the Atoms Structure of the Atom: Electrons, protons and neutrons; Isotopes and isobars for class 09 Science. It includes all main concepts of the chapter in CBSE class 09 Science. Download NCERT Solutions for CBSE Class 09 Science The Fundamental Unit of Life Cell - Basic Unit of life : Cell as a basic unit of life; prokaryotic and eukaryotic cells, multicellular organisms; cell membrane and cell wall, cell organelles and cell inclusions; chloroplast, mitochondria, vacuoles, endoplasmic reticulum, Golgi apparatus;nucleus, chromosomes - basic structure, number. Download NCERT Solutions for CBSE Class 09 Science Tissues Tissues: Structure and functions of animal and plant tissues (only four types of tissues in animals; Meristematic and Permanent tissues in plants) for class 09 Science. It includes all main concepts of the chapter in CBSE class 09 Science. Download NCERT Solutions for CBSE Class 09 Science Diversity in Living Organisms Diversity in Living Organisms: Diversity of plants and animals - basic issues in scientific naming, basis of classification. Hierarchy of categories / groups, Major groups of plants (salient features) (Bacteria, Thallophyta, Bryophyta, Pteridophyta, Gymnosperms and Angiosperms). Major groups of animals (salient features) (Non-chordates upto phyla and chordates upto classes). Download NCERT Solutions for CBSE Class 09 Science Motion Motion: Distance and displacement, velocity; uniform and non-uniform motion along a straight line; acceleration, distance-time and velocity-time graphs for uniform motion and uniformly accelerated motion, derivation of equations of motion by graphical method; elementary idea of uniform circular motion. Download NCERT Solutions for CBSE Class 09 Science Forces and Laws of Motion Force : Force and Motion, Newton's Laws of Motion, Inertia of a body, Inertia and mass, Momentum, Force and Acceleration. Elementary idea of conservation of Momentum, Action and Reaction forces. Download NCERT Solutions for CBSE Class 09 Science Gravitation Gravitation: Gravitation; Universal Law of Gravitation, Force of Gravitation of the earth (gravity), Acceleration due to Gravity; Mass and Weight; Free fall. Download NCERT Solutions for CBSE Class 09 Science Work and Energy Work and Energy: Work done by a Force, Energy, power; Kinetic and Potential energy; Law of conservation of energy for class 09 Science. It includes all main concepts of the chapter in CBSE class 09 Science. Download NCERT Solutions for CBSE Class 09 Science Sound Sound: Nature of sound and its propagation in various media, speed of sound, range of hearing in humans; ultrasound; reflection of sound; echo and SONAR. Structure of the Human Ear (Auditory aspect only). Download NCERT Solutions for CBSE Class 09 Science Why Do We Fall ill Why Do We Fall ill: Health and its failure. Infectious and Non-infectious diseases, their causes and manifestation. Diseases caused by microbes (Virus, Bacteria and Protozoans) and their prevention; Principles of treatment and prevention. Pulse Polio programmes. 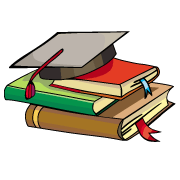 Download NCERT Solutions for CBSE Class 09 Science Natural Resources Definition of matter; solid, liquid and gas; characteristics - shape, volume, density; change of state-melting (absorption of heat), freezing, evaporation (cooling by evaporation), condensation, sublimation. Download NCERT Solutions for CBSE Class 09 Science Improvement in Food Resources Plant and animal breeding and selection for quality improvement and management; Use of fertilizers and manures; Protection from pests and diseases; Organic farming. NCERT Solutions Class 9 Science PDF (Download) Free from the myCBSEguide app and myCBSEguide website. Ncert solution class 9 Science includes textbook solutions from both parts 1 NCERT Solutions for CBSE Class 9 Science have total 15 chapters. Class 9 Science ncert Solutions in pdf for free Download are given on this website. Ncert class 9 solutions PDF and Science NCERT class 9 PDF solutions with latest modifications and as per the latest CBSE syllabus are only available in myCBSEguide.